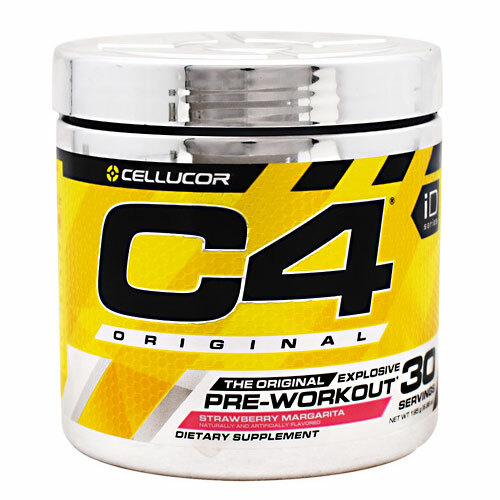 Cellucor C4 Extreme Powder Best for Pre-Workout! Harnessing unmatched NO3 technology and premium ingredients such as Creatine Nitrate, C4 Extreme is our advanced pre-workout supplement, possessing the power to ignite your mind, muscles, and workout regimen, workout after workout after workout. What is NO3? NO3 is Nitrate, an advanced compound that promotes unbelievable muscle pumps and amplifies the power of C4 Extreme. Cellucor is utilizing a unique compound where NO3 is bonded to Creatine to form Creatine Nitrate. Cellucor C4 Extreme is formulated with key ingredients that will provide more energy to help you get that extra rep, and complete that last set. More reps and more sets are tied to improved strength and endurance. C4 Extreme has received the highest honors in the supplement industry, including Pre-Workout Supplement of the Year and Best Product Innovation from the top retailers in the world, including VitaSprings.com. C4 Extreme features the best and largest flavor assortment in pre-workout history. Fan favorites such as Icy Blue Razz, Watermelon and Green Apple highlight the ever growing family of C4 Flavors. Because it’s almost impossible to pick just one, try all of our unique flavors! I need energy. My workouts are good, sure, but sometimes I’m tired. Sometimes the fear of a mediocre workout keeps me on the couch. Do they make something for this? I hit the supplement store in search. One shiny chrome bottle stands out–it reads, Cellucor C4 Extreme. This pre-workout is unlike anything I’ve seen–no proprietary blends and it’s a reasonable price. I’m sold. I’m still tired but now I’m excited to see what this supplement can do. I hustle home, change, and pop open my C4. I scoop it in and I’m shocked at how easily it mixes—I hardly had to stir! The flavor? It’s unbelievable! Like a pro, I pound the rest in under 10 seconds and head to the gym. A warming sensation radiates through my body–C4 Extreme is no joke. I am ready to crush. Today is chest day. I’m giggling as I warm up—the bar feels like a toy and I’m scared I’ll throw it through the ceiling. I’ve never felt so confident, so strong. I’ve never been so focused. Did I say I was tired today? I don’t even remember. I explode through the first set and I’m shocked as I just set a personal record with ease. I want more.